With today’s busy lifestyles and the convenience of fast food, we all too often neglect eating fresh, green foods. 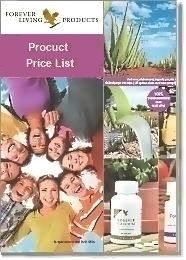 Forever Living Products provides a simple solution to "convenience eating" in Fields of Greens. cayenne pepper (to help maintain healthy circulation and digestion). 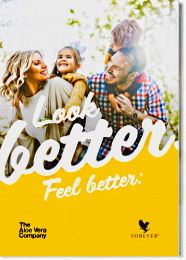 Forever Living Products has also added honey to promote energy. So, get from Fields of Greens the phytonutrients and the antioxidants you may be lacking. 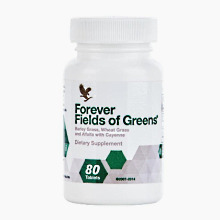 One tablet Fields of Greens twice a day.